So much going on since we took a week off for Independence Day, I don't know where to begin. First, CMS published a proposed rule for a new payment system that will be a radical departure from HH-PPS. We found some experts to unpack some of the 600 pages for you. Second, Maxwell Health Associates have announced a partnership with Excel Health. We feature that announcement plus a guest article from a Maxwell consultant about preparing your agency for the QAPI rule. First I would like to direct your attention to this week's product review. 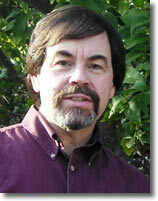 I first met John Reisinger way back in the 90's, when I was the IT Director for a large Colorado Home Health agency. I knew IT at the time but not a lot about Medicare claims and payment systems, which went from per-visit to IPS while I was there. I learned a lot from him; and I still regard him as among the most knowledgeable Medicare claims experts I have ever met, and I've met quite a few. John and I were both caught up in a major layoff directly caused by IPS. I went into writing and he took his revenue cycle expertise to help home health agencies thrive during difficult times. After hearing for years about the great results his clients have achieved, I decided to finally examine his software product and listen to his story. I believe you will be as impressed as I was at what John's company, Innovative Financial Solutions for Home Health, has done for agencies that had been struggling with revenue cycle management, utilization, and shrinking profit margins. Home health providers today, he explained to me, are caught between two powerful forces. Payers continue under the mistaken belief that cutting what they pay to home health saves them money. Even though they now know it exponentially increases overall healthcare payments, they continue to cut. Secondly, years, even generations, of clinical culture and habit and tradition is what informs utilization decisions. Lower payments vs. sustained costs only leads to one place. Take a look at my interview with him and see if you might be able to benefit from handing your clinicians the data they need to make care plan decisions that respond to today's reimbursement rates without harming patient outcomes. Click here or below on "Reimbursement Expert's Software Guides Utilization Control." One of the biggest changes in the proposed home health payment system is the surprise that telehealth expenses can now be classified as patient, not administrative, expenses. We haven't forgotten to cover it, we're just taking our time to conduct interviews from with the remote patient monitoring sector and learn exactly what it means to you. Lastly, nearly forgotten under the attention given to the July 2 proposed rule, CMS has also announced a crackdown on Medicaid. States will be under greater scrutiny to ensure they allocate funds to providers and do not divert them elsewhere in the budget. Changes to the Medicaid Provider Reassignment regulation would eliminate state's ability to divert Medicaid payments away from providers. Guest writer Laurie Owens, COS-C, is a senior consultant with Maxwell Healthcare Associates. She has some detailed tips for preparing your staff for the new "Quality Assurance and Performance Improvement" rules. Partnership said to help post-acute providers transition from volume to value. Public and private payers take note. Objective research finally produces evidence top quality home care can, in fact, reduce overall healthcare costs while improving patient outcomes. Anthem is focused on enhancing our ability to offer innovative, integrated clinical care models that can improve the quality of healthcare and deliver better outcomes. As of this date, approximately 30,239,000 Baby Boomers have become Medicare eligible.